Life places so many demands on us, and while most of the time we might be able to rise to the challenges these pose, if stress is prolonged and excessive, it can overwhelm and lead to us burning out. Burnout is essentially when a person is mentally, emotionally and physically exhausted, totally overwhelmed and unable to focus on and contend with everyday demands. In the accompanying interview on BBC Radio Nottingham, I talk to Mark Dennison about this issue and the impact this can have on us. Certainly some stress in our lives is not only inevitable, but can be a necessary and desirable factor as our brains and bodies engage to enable us to function effectively and tackle tasks with energy. However, too much over a sustained period can do immense damage to our psyche and physicality. Emotionally we may worry too much, have poor judgement or focus, be irritable, lethargic etc., while physically we may struggle with thing such as headaches, gastroenteral problems, chest pains and rapid heart rate. 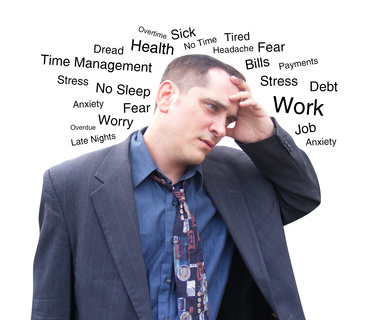 If we gain no respite from continual stress, then there are ultimately potential long term repercussions as it takes its toll – our immune system can become suppressed, blood pressure raised, increase our risk of depression, heart attack, speed up the ageing process and contribute to chronic illnesses such as diabetes, MS, Cancer and the like. Emotional outbursts, and possibly becoming more aggressive or unpleasant to others; withdrawing from colleagues, friends or family; more frequent sicknesses such as colds, headaches, muscular pain; relying on stimulants such as sugar, caffeine drinks for energy, or trying to relax by means of alcohol, or cannabis for example; lethargy and no motivation for the day; loss of interest in personal appearance. It can feel like Groundhog Day with nothing to look forward to. Many of these symptoms can equally apply to depression, however, it can’t be treated pharmacologically (Borysenko, 2014). Instead it is more about spotting the warning signs and making fundamental lifestyle changes. So it is not being ‘selfish’ or weak or any other negative connotation to take time out for yourself and replenish your batteries. Recognise what is happening to your mind and body, work to reverse it with time out for yourself, and so develop your resilience to cope with what life flings at you. You don’t just deserve it, can you afford not to?